Gold royalty and streaming companies don’t operate mines themselves, and instead they finance mines and expansions for gold miners. 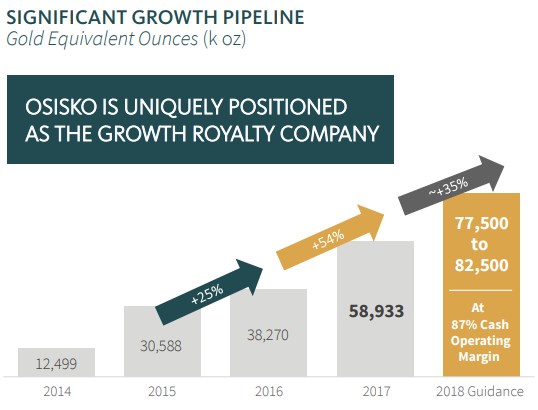 This generally makes them into very lean, profitable operations whereas other gold stocks have historically troubled to consistently generate a profit. 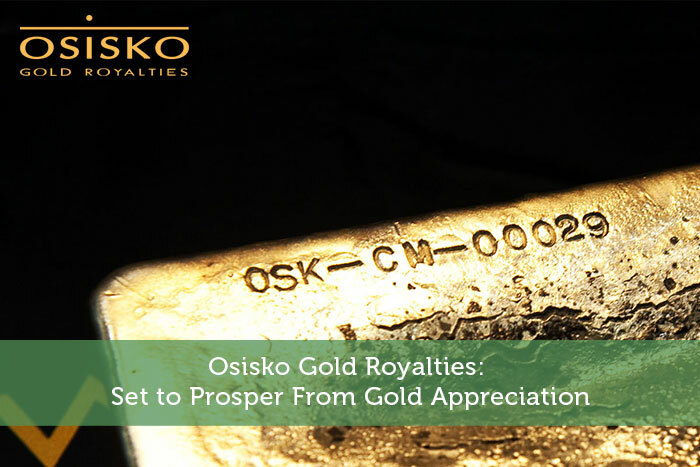 For this reason, Osisko has a lower break-even price in gold for it to make a profit, which is ideal. The company does have some debt, but their cash and investments in miners are available to pay it off if needed. 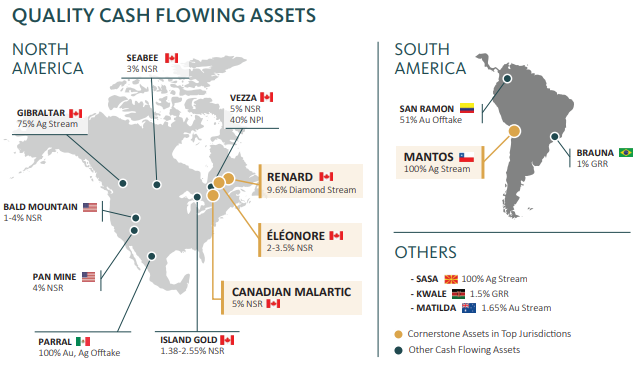 Overall, the balance sheet is moderately strong, and represents a mildly leveraged play on gold appreciation and stream/royalty growth. Gold is a difficult commodity to determine a value for, but there are two key charts worth highlighting. As this article describes, gold often bottoms (and thus starts a nice bull run) when interest rates set by the Federal Reserve hit a peak. 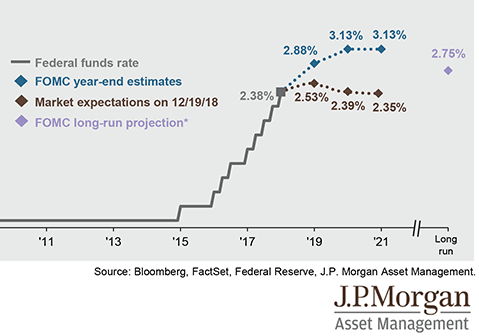 Right now, the market expects that we’ve basically just hit peak interest rates for this market cycle. The reason interest rates affect gold has to do with opportunity cost. If banks pay you a high inflation-adjusted interest rate to hold your money in the bank, it makes sense to sell gold and hold cash for the interest. However, when banks pay low or negative inflation-adjusted interest rates, many investors believe it makes sense to store their wealth in gold instead. Cash in a bank is actually the bank’s liability. Although it’s backed up by federal insurance, cash is tied to the bank’s 10-to-1 leverage ratio and vulnerable to money-printing and devaluation. There’s less of an incentive to hold it over gold when it doesn’t pay you anything. Therefore, when Federal Reserve interest rates hit a peak and eventually go down, that’s often bullish for gold. Central banks keep printing more money, and that monetary base grows a lot faster than gold. During 2001, which preceded a massive decade-long bull market in gold, the ratio was 0.41. It then spiked to a peak of over 1. 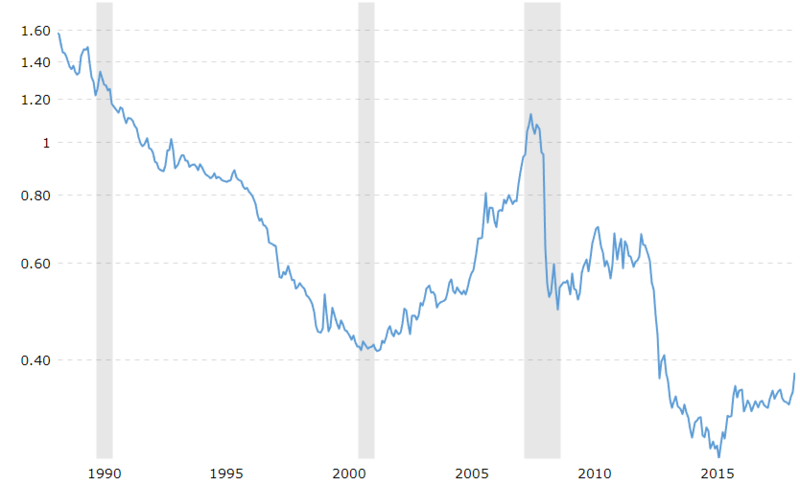 After that, trillions of dollars of quantitative easing by the Federal Reserve drastically increased the monetary base, and the ratio to gold hit an all-time low of 0.26 in late 2015. The ratio has since increased to 0.38, which is still historically low, including below where the ratio was prior to the most recent huge bull market. Decades ago, the ratio has been over 4. Overall, this chart suggest considerable upside potential for the price of gold because the monetary base has expanded so fast and the price of gold hasn’t caught up with it yet. It would likely take a time of economic fear and uncertainty, like a severe recession, to restore the ratio to a higher and more normal level. I think holding precious metals and precious metals stocks for at least 5% of a portfolio is prudent for risk management. It may act as a hedge against the next big market decline or recession. For example, during this recent bear market in U.S. equities, my 5-7% gold and gold stock allocation appreciated by about 10%, which allowed my portfolio value to hold up a lot better than the S&P 500 and other big stock indices. It’s not guaranteed to work like that every time, but gold can serve as a form of diversification away from stocks, bonds, and real estate which are collectively at record valuations.